The marine life both on the island and its surroundings is a genuine treasure; it’s also one of the top birdwatching destinations in all of Mexico. If you thought you had seen everything there was to see and you still haven’t visited the Islas Marietas (Marietas Islands), truth is, you haven’t seen anything yet! 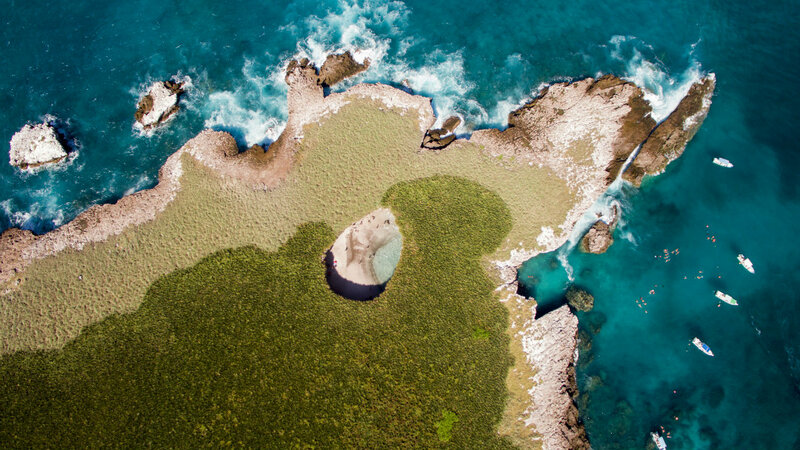 These rocky formations are some of the shiniest jewels in Mexico’s Pacific Treasure. Created by underwater volcanoes, the islands were declared a National Protected Area of Mexico in 2005 and were named a Biosphere Reserve by the UNESCO. The Islas Marietas are located in Banderas Bay near the exclusive area of Punta Mita. They have an area of 1,383 h (3,417 ac) and are made up of two islands, Isla Larga (Long Island) and Isla Redonda (Round Island), several islets, and superficial rocks, as well as a few sandy-rocky lower lying areas. 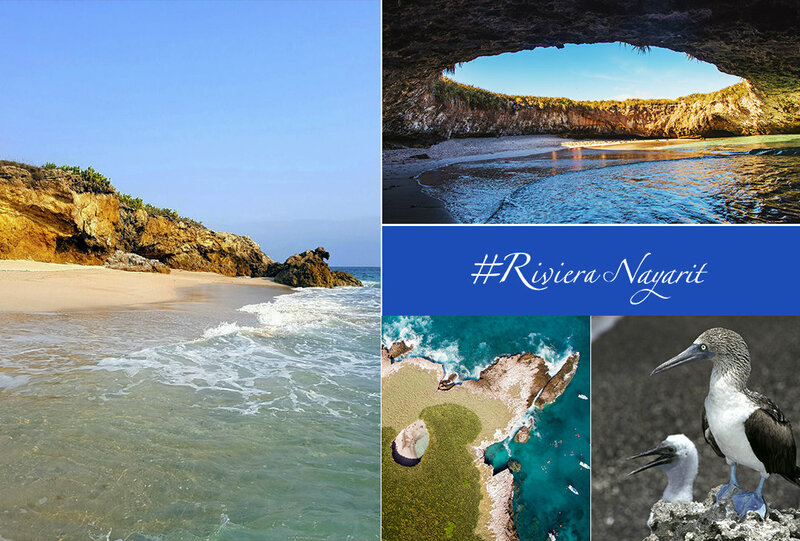 The Islas Marietas have become an icon of the Riviera Nayarit. 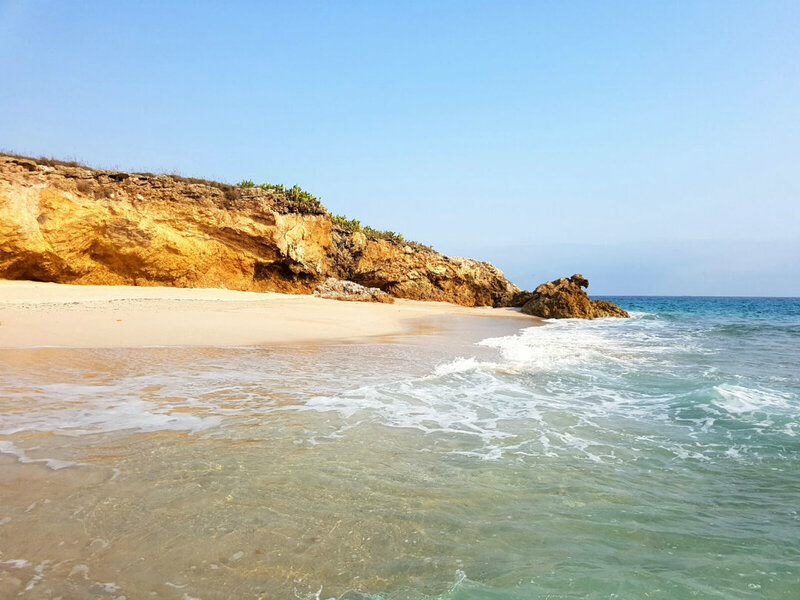 One of their top attractions is Playa Escondida (Hidden Beach, also known as Playa del Amor, or Love Beach), located in Isla Redonda. And though there’s no doubt it has brought fame to this tourism destination, the place is much more than just a beach—it’s filled with wildlife and offers an adventure that’s well worth experiencing. 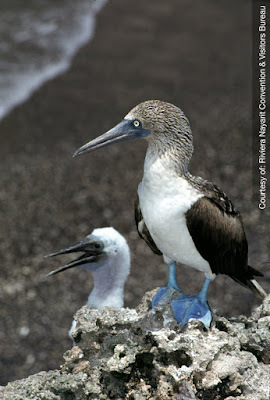 One of its unique inhabitants is the Blue-Footed Booby and it’s also home to many other exotic species, underwater as well as on-land. 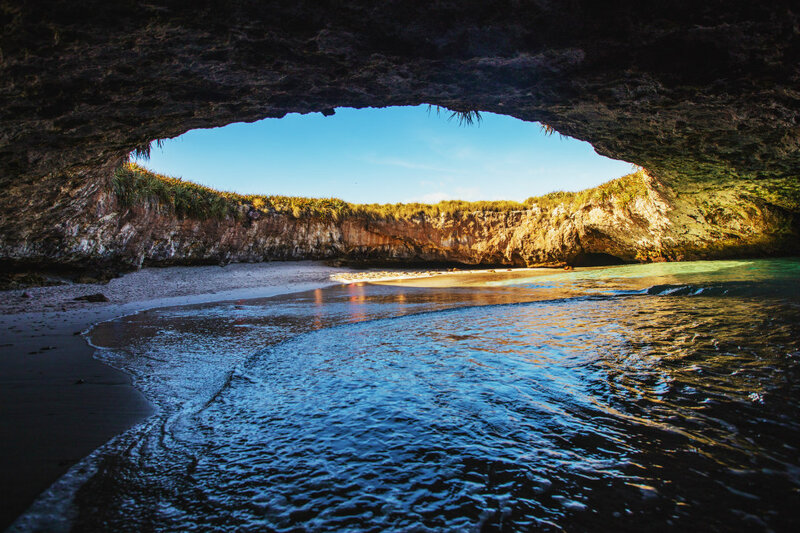 Hidden Beach, also known as Playa del Amor, or Love Beach. One thing to consider is the fact it’s a Biosphere Reserve, meaning activity in the Marietas is regulated and exploration is limited. When French investigator Jacques Cousteau came to the islands he became one of their top defenders and promoters, convinced of the need to protect them as they are an authentic world heritage site. Therefore, access became limited in 2016, but that doesn’t mean visitors can’t enjoy its other attractions such as La Nopalera beach, the “Bridge,” (“Puente”), or “the cave” (“la cueva”). Biologist Jorge Antonio Castrejón Pineda, National Parks Director in the state of Nayarit (Islas Marietas, Isla Isabel, and Islas Marías), said the Marietas are true pearls of Banderas Bay, a source of pride and identity, which is why it’s necessary to care for and preserve them. “They benefit all of the communities surrounding the Bay so we must all do our part to preserve them,” he added. This national park is also one of the most popular places for divers in Mexico thanks to its amazing marine biodiversity. You’ll be amazed at the colorful fish that call it home! It’s ideal for beginners as it’s only 7.5 to 23 m in depth (25 to 82 ft) and the average visibility is 12 m (39 ft). All you need is one oxygen tank should you decide to take the plunge. Besides diving, you can also kayak, snorkel, and paddleboard in the area. If you’re in Bahía de Banderas you can hire boats, yachts, or certified guides for the tour from Nuevo Vallarta, Bucerías, La Cruz de Huanacaxtle, El Anclote, Sayulita, or Lo de Marcos, or from Puerto Vallarta, as well. During the summer it’s very possible for a visitor to bump into one of the thousands of Olive Ridley turtles that lay their eggs on this destination’s beaches. During the winter, tours include viewing the humpback whales during their yearly pilgrimage to the bay. Tourists can also birdwatch or photograph and swim with giant manta rays, dolphins, turtles, and endless schools of colorful fish. These experiences are all well worth trading for a morning in a lounge chair on the beach.